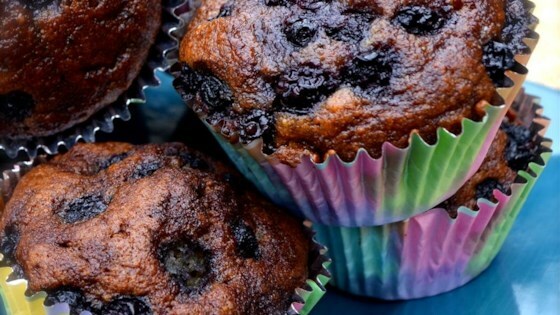 "My initial comment about my paleo blueberry lemon muffins is OMG paleo muffins! These were so amazing that I immediately made a second batch. You have to try these today!" Preheat oven to 350 degrees F (175 degrees C). Line muffin cups with paper liners. Whisk eggs, coconut oil, coconut sugar, lemon zest, and lemon extract together in a bowl. Sift salt, baking soda, and baking powder together in a separate bowl; stir in almond meal using a rubber spatula. Mix egg mixture into almond meal mixture until batter is smooth; fold in blueberries. Scoop batter using an ice cream scooper into prepared muffin cups, filling 3/4-full. Bake in the preheated oven until a toothpick inserted in the center comes out clean, 30 to 35 minutes. Cool. Mix coconut butter, honey, and lemon juice together in a bowl until smooth; drizzle over muffins. Butter or ghee can be used in place of the melted coconut oil in the muffins. Maple syrup can be used in place of coconut sugar, if desired. I didn't make the glaze for the muffins; they were delicious with out it. I will make it again. These were amazing! I added more blueberries but didn't change anything else. They don't even need the icing just a drizzle of honey will do. Love it love it!!! !